The deep-winter pruning regime at Towerwater includes the pruning of the 6 Hanepoot (Muscat d’Alexandrie) vines, 4 quince trees and a variety of 18 different fruit trees in the orchard. 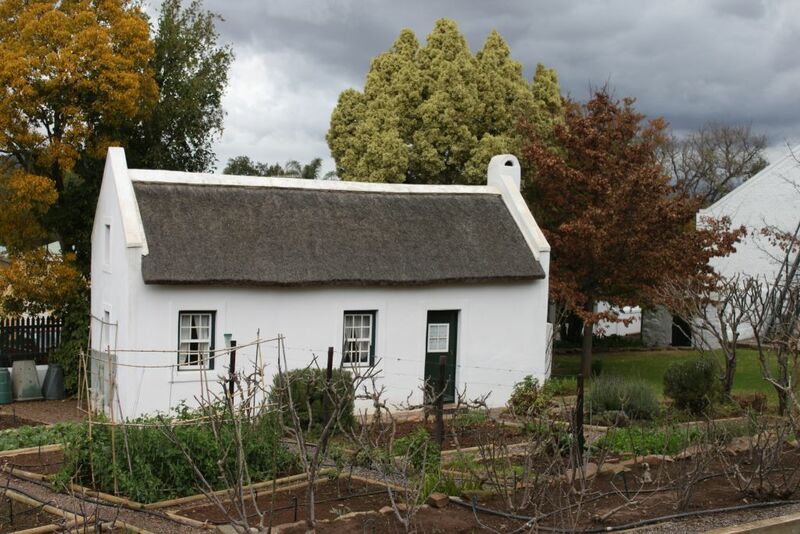 The fruit garden at Towerwater was planned to produce fruit throughout the year on a domestic scale. 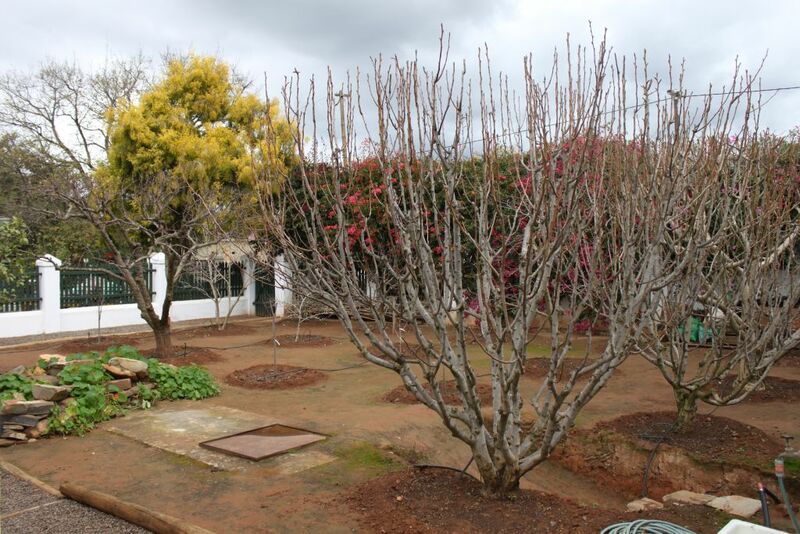 These trees and vines includes peaches, apricots, plums, figs, nectarines, prunes, apples, pears, white and pink guavas, pomegranates, grapes, almonds, quinces, lemons, limes, oranges, naartjies (tangerine), kumquats, grenadillas and paw paws. Winter is the most important time to prepare the fruit trees for the seasons that will follow. Pruning for shape and fruiting is very important in a home garden and for a full week we will be pruning roses, fruit trees, herbs, hydrangeas, shrubs and ornamental trees. The dormant fruit trees also receive a spraying of Lime-Sulphur to protect them from a variety of diseases. 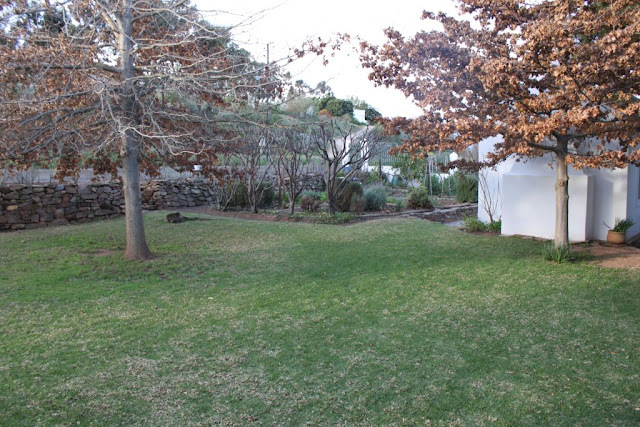 Feeding and composting will be the final touch before we hand over to Mother Nature to do her magic. This year I am starting with a new regime of bait stations to try and reduce and control the Mediterranean fruit fly problem in soft-fruit season. Regrettably our garden provides the perfect habitat for lazy fruit flies. They can just float from tree to tree, season to season without having to search for the next crop to destroy. With the pruning complete, we could marvel at the beautiful bare trees and roses that can rest before they will burst into blossom and bloom. In doing so, they will turn the Towerwater garden into an enchanted feast of colour and flavours, starting in the spring. 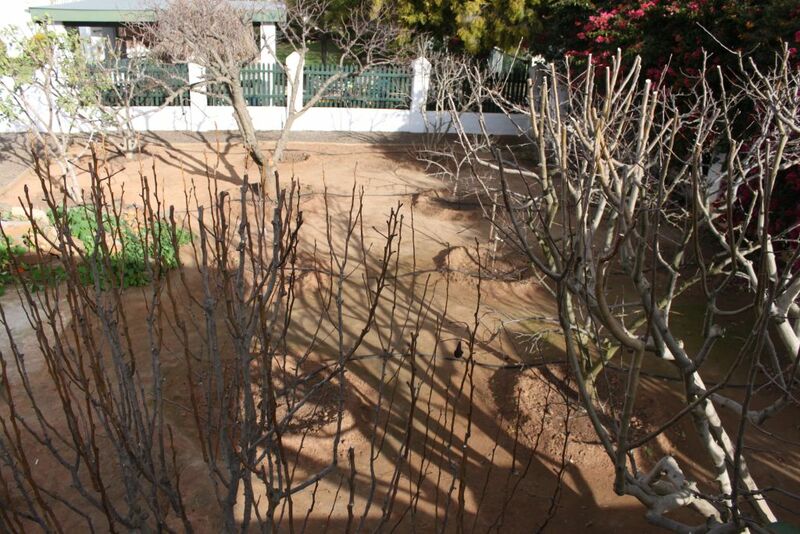 Each year the freshly pruned fruit trees provide a visual element to the garden that is quite stark. A dramatic reminder of the ebb and flow of the seasons. 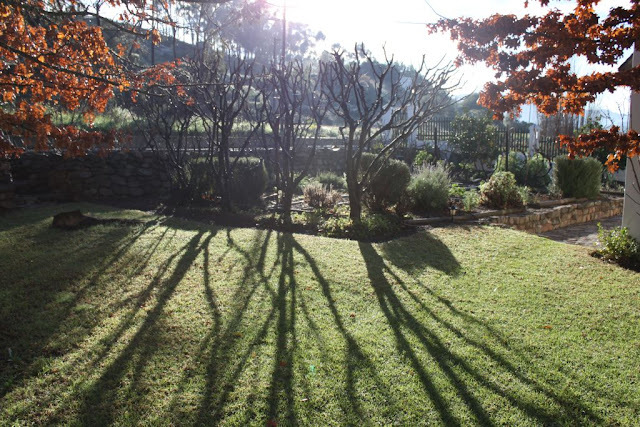 Lovely image of sunlight through the quinces, thanks.